This post contains Amazon affiliate links. If you click on and buy through one of these links, I do receive a small percentage. Thank you. That picture of joy was becoming clearer in my mind. Where I was trying to reconcile how joy could be both a steadfast feeling and a pang, something I desired and had experienced, yet couldn’t grab hold of, I pictured the sun. I saw a bright orb with rays shooting out. 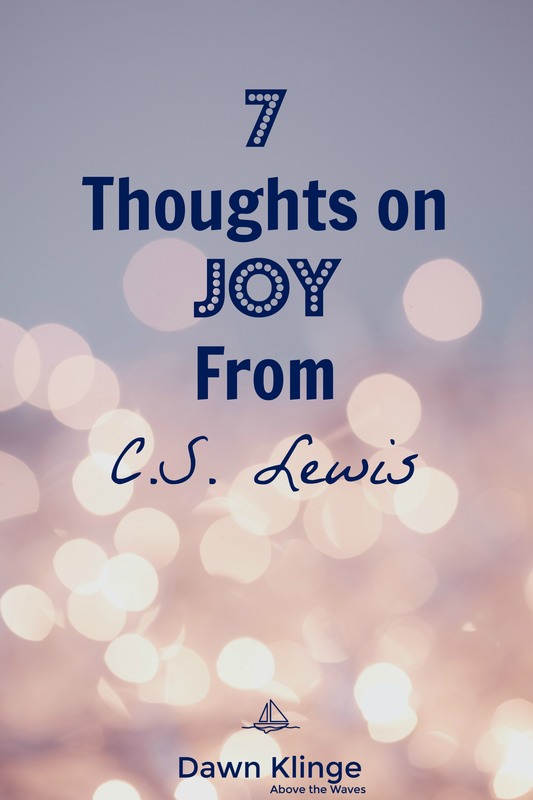 I have a steadfast joy because I have the hope of Christ in me. I know that desire will someday be fulfilled. 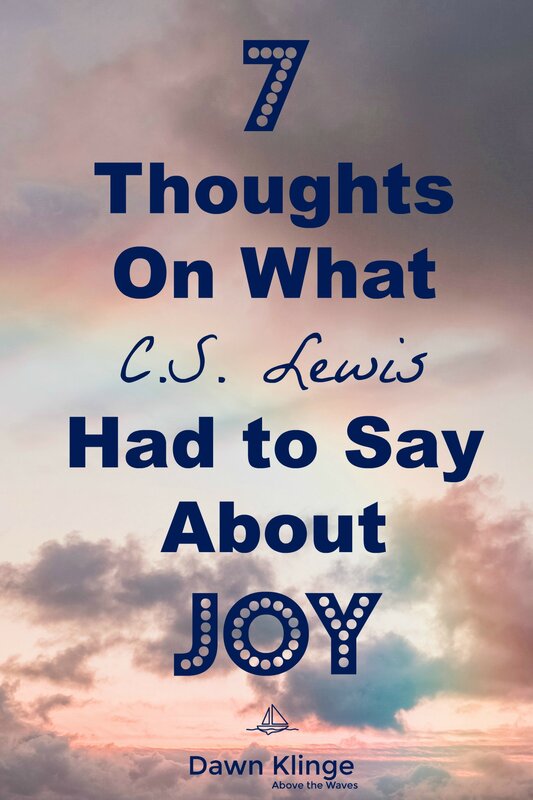 I’ve experienced those pangs of joy, which are available to all, because God, in his mercy, has left signposts behind, pointing to Him. 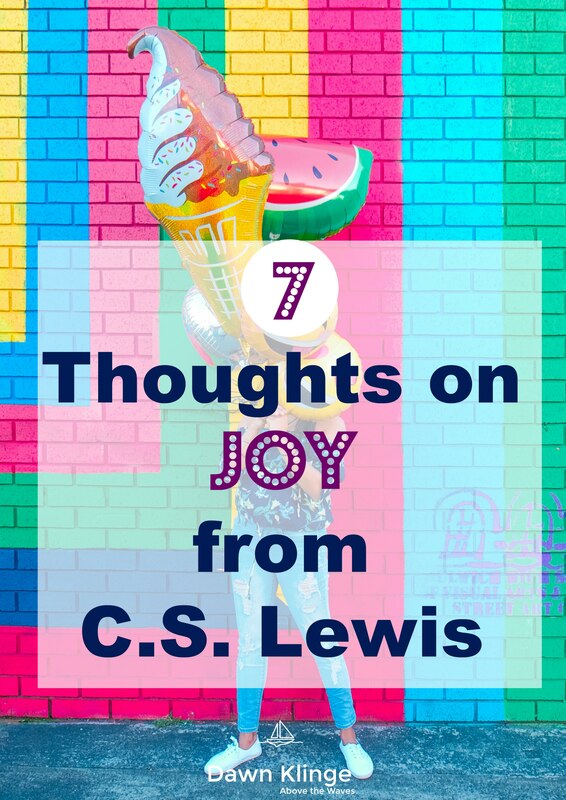 I made a printable pdf for you with these 7 quotes on joy from C.S. Lewis. Cut out the individual quotes and use them however you like (lunchbox notes, mirror reminders, bookmarks, card inserts, etc). It's available in the Library (along with other resources).